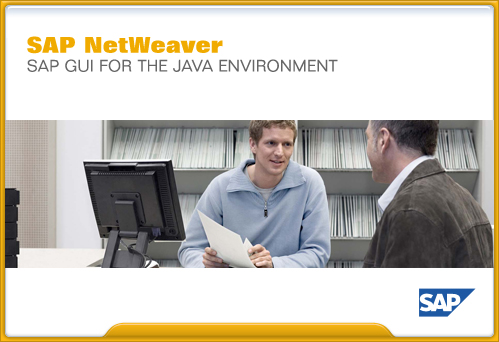 SAP GUI for Java 7.30 was released earlier today. In order to download and install it, follow this link. 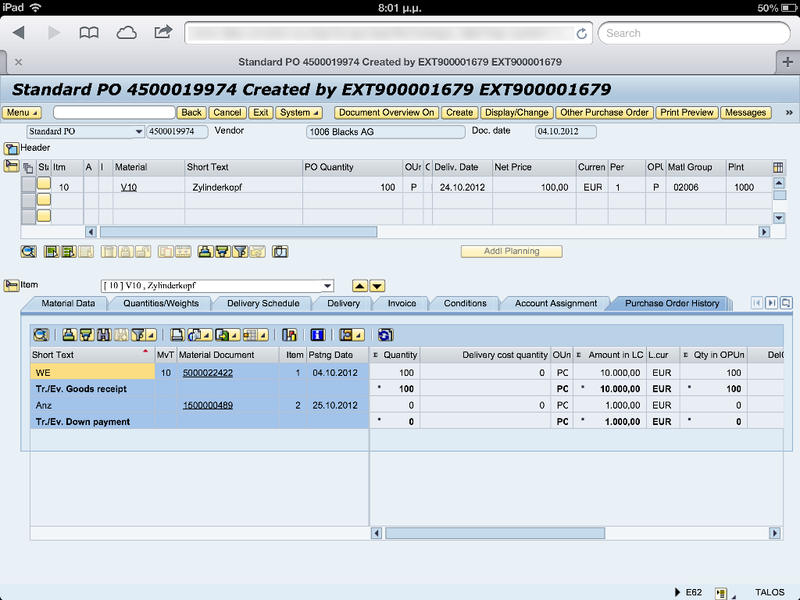 Details on system requirements can be found on SAP Note 1761605. 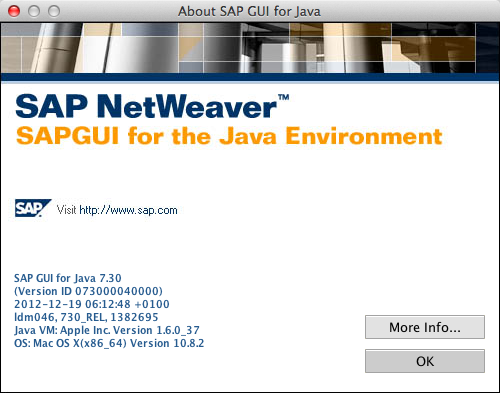 The release notes for SAP GUI for Java 7.30 can be found here. Among several features, it adds support for a number of new platforms and offers a redesigned and more modern UI (Corbu Theme). In case you already have a previous version installed, after the installation, the application will import all connection data automatically. You can then, optionally, uninstall the previous version. 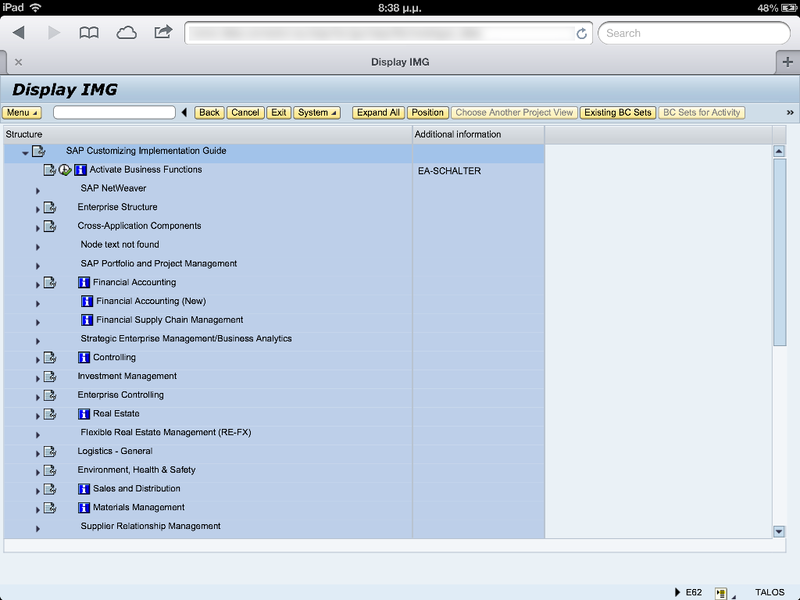 You also have the option to see the directory through SAP GUI → SAP GUI options → Configuration Files. 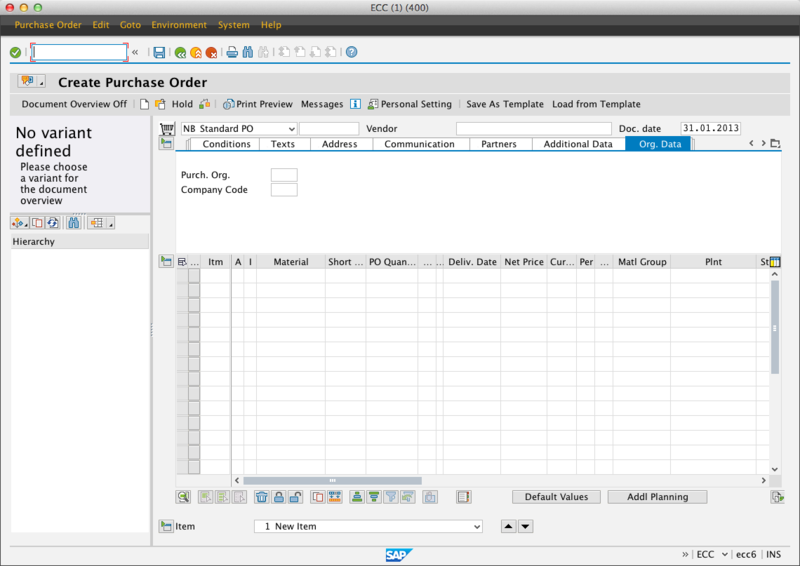 Although Safari is not included in the list of compatible web browsers for SAP GUI for HTML, it is in fact fully operable. 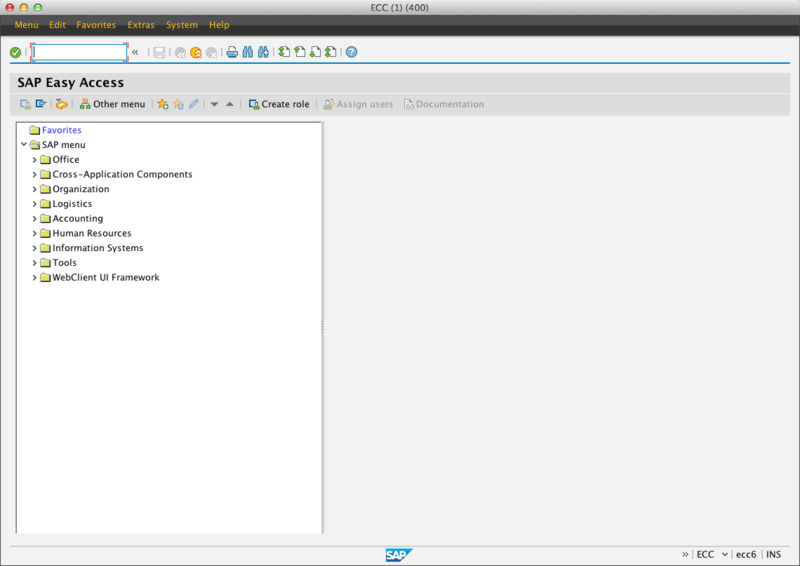 In favor of this, the following images illustrate a SAP IDES (Internet Demonstration and Evaluation System) system, based on ECC 6.0 EHP5, running on a 3rd generation iPad (iOS 6). Open the command prompt by navigating to Start → Run and by typing “cmd”. Go to the \SAP\FrontEnd\SAPgui directory (in Program Files), through the command prompt. An information message will appear. Open the registry editor, in order to access Windows registry, by navigating to Start → Run and by typing “regedit”. Go to the HKEY_CURRENT_USER\Software\SAP\SAPShortcut\Security registry key. Change the value data of “EnablePassword“ from 0 to 1. 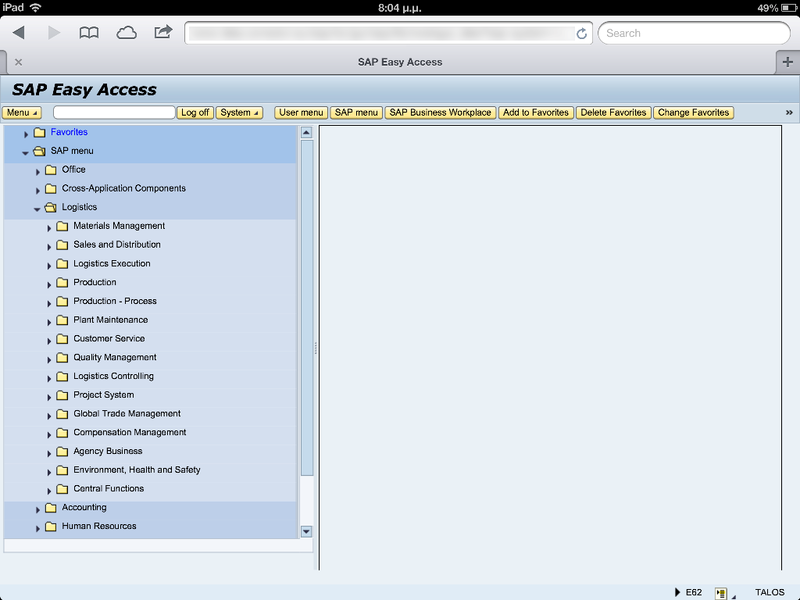 Close SAP Logon and open it again, in case it was open during the whole process.